One of GMA's anticipated primetime series this year is Mitho where Alden Richards is reportedly headlining it. But, it seemed like the management decided to replace the working title of the show and changed it to Victor Magtanggol. Mitho is said to be a fantasy series based on Gods and Goddesses. GMA, being the leader in the telefantasya genre, did not hesitate to invest in the series and gave it to one of their bankable stars, Pambansang Bae Alden Richards. We can probably expect similar visual effects as that of Encantadia. Some are asking if Victor Magtanggol is final and if it's really the replacement title of Mitho. Victor Magtanggol doesn't sound catchy, to be honest, but GMA writer Arjay Nuevas confirmed in one of his comments in Facebook that it is indeed the new Mitho. GMA must be thinking of Percy Jackson when they decided to come up with Victor Magtanggol. 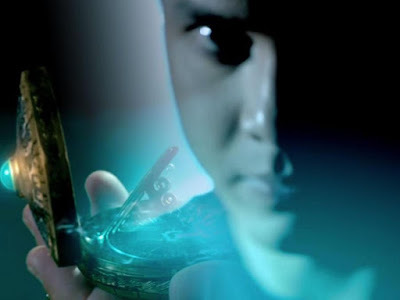 For those who are not familiar, Percy Jackson is a fictional character in a book of the same title that revolves around, similar to this new Kapuso series, Gods and Goddesses. The book was eventually adapted into a movie where actor Logan Lerman took the role of the demigod. Following this theory, is Alden going to be a demigod in the series? I still personally prefer Mitho over Victor Magtanggol. Regardless, I'm still optimistic about this new series. Hopefully, it would really live up to what the rumors are saying - that this is going to big and very exciting telefantasya. Aside from Alden, newly recruited Kapuso stars John Estrada and Jasmine Curtis-Smith are rumored to be part of this new show.